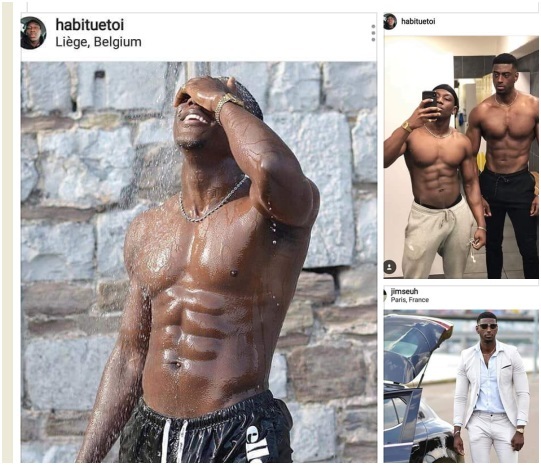 Home / Entertainment News / LADIES, here is the truth about 6 pack guys like JOWIE, the men you love salivating on, Chunga sana!!! LADIES, here is the truth about 6 pack guys like JOWIE, the men you love salivating on, Chunga sana!!! Monday, October 8, 2018 - Brainless young ladies like Citizen TV’s Jacque Maribe are no longer interested in men with vision. They are only interested in 6 packs and muscles and that’s why they are falling blindly in love with criminals like Jowie. Most of these guys are serial cheaters and they prey on single independent ladies like Maribe, who have nice jobs. 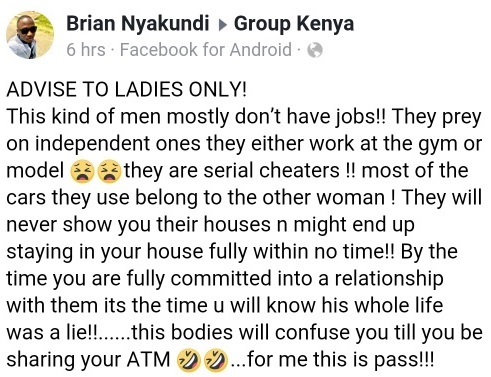 This guy called Nyakundi has some advice for ladies like Maribe concerning male models and socialites like Jowie, who spend most of their time at the gym. They will frequent your house for sleepovers and long stay but they will never show you where they live. Read and stay alert to avoid falling into their trap like Jacque Maribe.